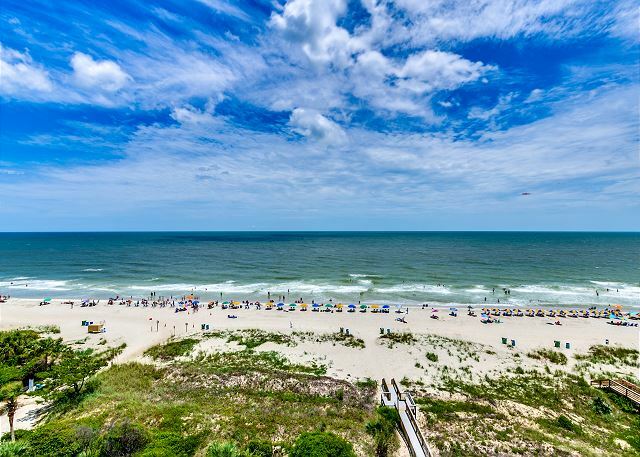 Spectacular panoramic views of the ocean and beach will make you wish you could stay forever! Make yourself at home in this luxurious 3 bedroom 2 bath penthouse condo! 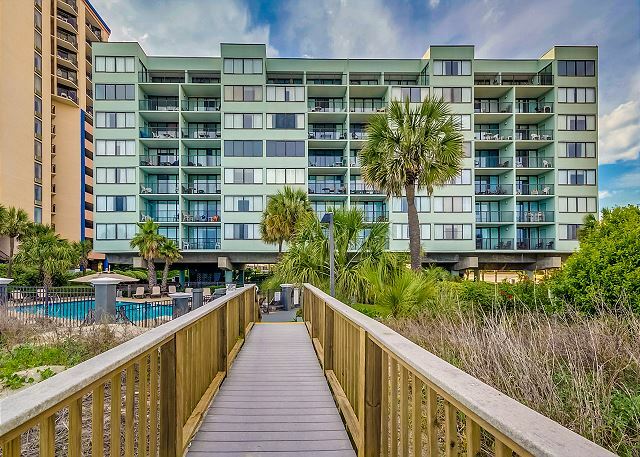 Large open kitchen w/ granite countertops, full sized washer and dryer, flat screen TVs, two living rooms and an oversized balcony gives plenty of room for you and your guest to enjoy your Myrtle Beach vacation. This 3 bedroom condo has a king bed in the master/ full bath, second bedroom a king bed with an attached bathroom, third bedroom has two twin beds and the living room has a pullout queen sleeper sofa. This was a great location and a nice place although a bit dated. It’s nice if you are looking for the quieter side of MB. Some of the carpet is dated and fraying but overall we really enjoyed our stay. I understand not having screens on the doors but it would definitely help at night. I would definitely recommend this condo. This Condo is absolutely wonderful. The panoramic view across the living/dining area and bedroom is an absolute wonder in itself. The rooms were roomy and fit our needs completely. My mom doesn't do well with the hot beach so being able to sit on the balcony or lounge was perfect for her to come in and out as she needed rather than walking to and from the beach and being too hot. The experience was great. I definitely will be back and to have the beach just a few steps away. The family enjoyed the condo and the balcony was used lots. thank you for having us and we'll be back again in a couple of years. The property is in a great location, the layout of the condo was nice, large living and dining area with floor to ceiling glass doors that overlook the ocean. Balcony was fantastic, great views with fairly basic but new(ish) patio furniture. You can tell that some upgrades have been done to the unit (flooring, kitchen appliances) but still would need a few upgrades to really make it top notch (painting, decorating, redo bathrooms, upgrade TV size in two of the rooms, replace dryer - it barely works, new couches and easy chairs, front door). It is just lacking some of the little details, but still a nice property and nice place to stay. Outdoor pool is nice, walkway to beach nice, just a few steps to the beach. Would stay here again for the right price and right time of year. Enjoyed every day that we was there. Penthouse was great. Nice and cozy. We have used home away many times and this is the best rental we have stayed in. The place was very clean. Perfect amount of space and the balcony is to die for. Definitely staying again. The property was great. 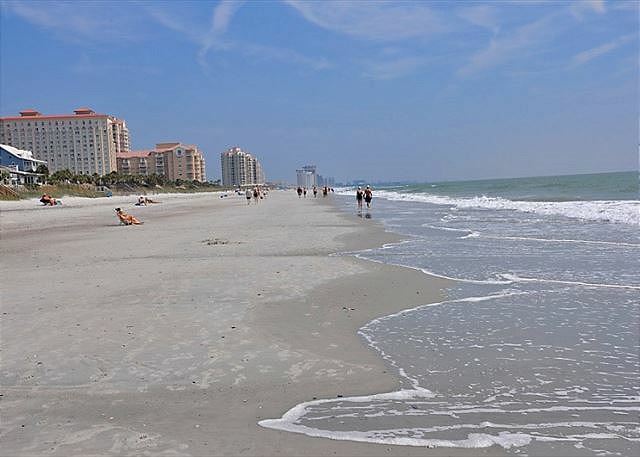 It is right on the beach, has a great view and it is well equipped and maintained. We really enjoyed our time here. My family and I spend very nice vacation in your place. All was exceptionnel (situation on the beach, spectacular view over the ocean, great balcony, general quality of furniture. and so on. However, some minor equipments doesn't work when we came in ( a lamp in the living room and one curtain in the master bedroom).Also, the toaster is too small to accommodate 6 people. But it doest'n matter. We had a great time and be sure we will be back as soon of possible. 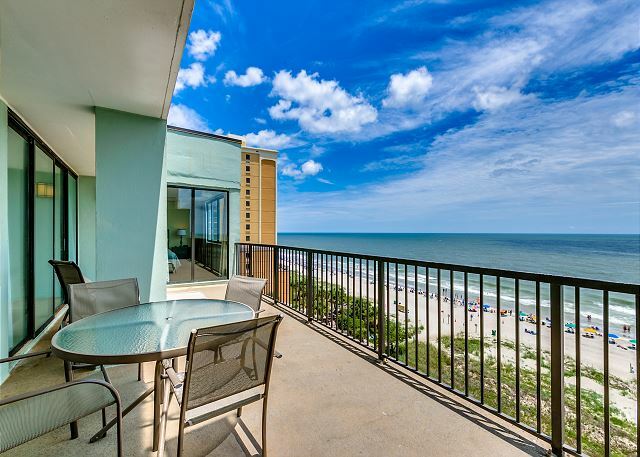 We just completed a stay at this wonderful condo on Myrtle Beach. The accomodations were extremely spacious, clean, and full of all the amenities you could possibly need; including boogie boards and beach chairs! 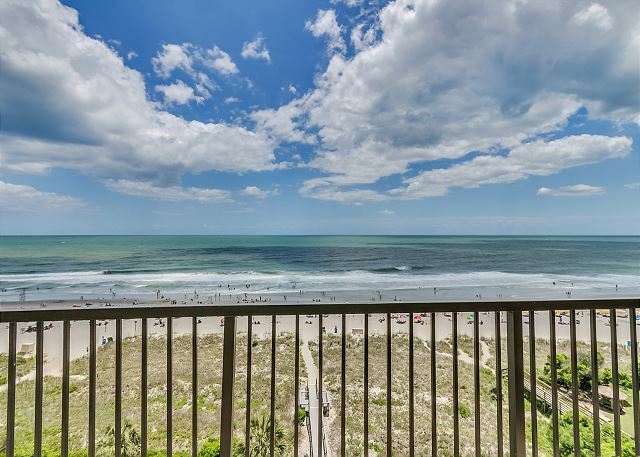 The condo is in a quiet part of Myrtle Beach, yet close to all the fun activities Myrtle Beach has to offer. We had a memorable vacation that was topped off by watching a pod of dolphins play in the ocean from our balcony on our day of departure! Luxury vacation rentals is a reliable company and handled all of our vacation needs professionally and quickly. Arrival at the condo was smooth and everything was provided as promised. We would definitely stay in this vacation rental unit again. This was our first trip to Myrtle with 3 kids. This condo was great, we'll maintained and extremely spacious for 5. The location is great with plenty of trails and areas to run/bike. Pool was great with shade in the afternoon for kids. Beach area directly in front of condo was very open with few people. We would like to go back!!! We were all pleased by the quality of the location and the penthouse offers everythung needed for an excellent experience. The only thing bothering was the loud music coming from the band at the hotel nearby even late in the night. Beautiful view loved the huge balcony . It felt like home...very cozy. The balcony is huge loved .Beautiful Kitchen .The rooms were spacious. Overall, it was a great 7 days. I WILL RETURN. Our family had a very special week staying in Penthouse 702. My son told me, Mom, this place is great. Very clean, very close to grocery store and restaurants, even thou we cooked in a lot. We had a little problem with the kitchen sink getting clogged up but maintenance took care of it immediately. The staff was so nice. Sun, beach, waves, beautiful, peaceful, perfect! Our family booked a last minute trip to Myrtle Beach and were very pleased with our accommodations. The management company was very easy to work with and the condo was nicely updated and clean. The view can not be beat! It was hard to leave to go back to NJ! Hope we can come again soon! Amazing condo with incredible views.Staff was fantastic.Lots of room for 6 adults to spread out and relax inside and on the balcony.Would certainly stay here again. I can not tell you how sad I was to leave Myrtle Beach and our condo. The view we have from this tremendous balcony was unbelievable. I sat every morning drinking my coffee watching the dolphins swim by. What a treat!! The condo was very clean and the management company was great to work with. Check in was very easy. We have already made plans to return in the Spring. OMG! What a wonderful time our families had at the Carolina Dunes. Very spacious and convenient to everything. Beautiful penthouse view of the beach and ocean. Staff was very polite and nice. Could have used an extra skillet for cooking but other than that they had plenty of amenities for our 5 night stay. We will be looking to go back again next year. This penthouse made our vacation great! Its very nice and the views are amazing! We could watch the dolphins from the huge balcony! The complex is also very nice and you can not beat the location. This was our second time and we cant wait to come back! We loved everything about this place and the rental experience. We cannot wait to come back! The best time we have had in many years. As far as the condo, it was awesome. The space was wonderful and the view was spectacular. It rained for a few days while we were there but we still made the best of it. We had an accident when we went to the Aquarium. A young guy hit our car and messed it up pretty bad. I am excited to have something to look forward to next year. I would love to come and stay at this same place. The experience was great. The house was clean and in great shape and the managers were very helpful with any questions we had. It was amazing to see the ocean as we walked out of our bedroom and living room and very convenient to the boardwalk and broadway at the beach. I give it an A+ overall. We spent two months in this unit. Great location, fantastic view on the beach and the ocean. A few renovations would make this unit a high end unit. We loved our stay and will be back next year. Overall nice experience with the condo. We had fun and enjoyed the ocean view from the pent house. We had a great time during our week stay. Great complex and the location could not be better! This condo has a private covered parking spot next to the lobby which was helpful. We will be back next summer! 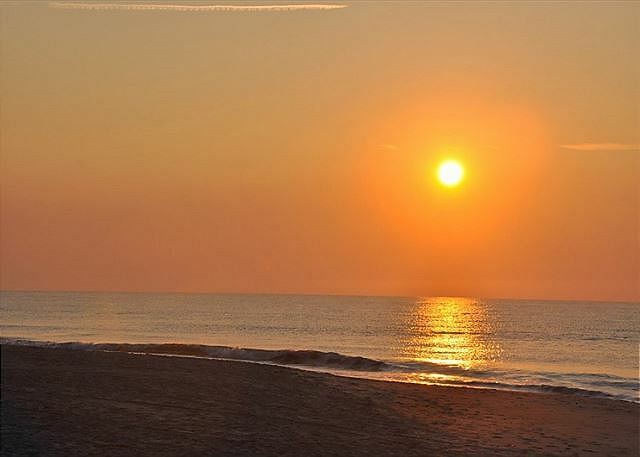 We vacation at the Carolina Dunes every year, it is our home away from home. We love it! 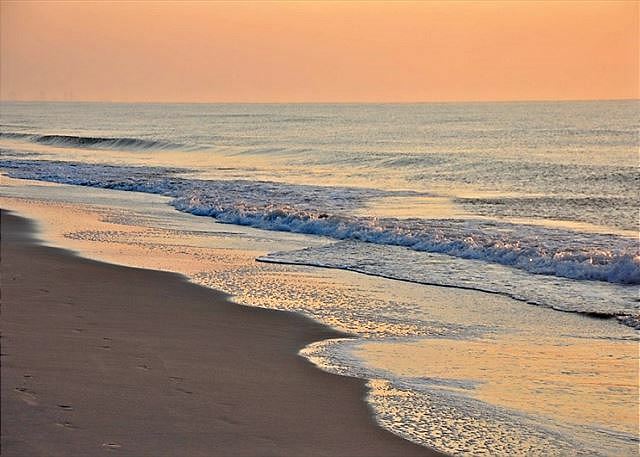 We love the Carolina Dunes. This is our second time booking through Luxury Beach Rentals and they do a great job! This unit was very clean and well maintained. They also provide beach chairs which was a nice surprise. Wish we could have stayed two weeks! Our stay was great! The ocean views are breathtaking and balcony is huge! The management company was very helpful and check in was a breeze. I highly recommend this penthouse and can't wait to come back next year!